Robert Carlson, a branch chief in the Office of Nuclear Reactor Regulation, is a Brigadier General in the U.S. Army Reserves. In May, he was called to active duty to serve as the chief of staff for the U.S. Agency for International Development delegation in Kabul. Below is part of a recent letter he sent to work colleagues updating them about his experiences. His first letter can be found here . Happy New Year! I hope this note finds you all doing well. 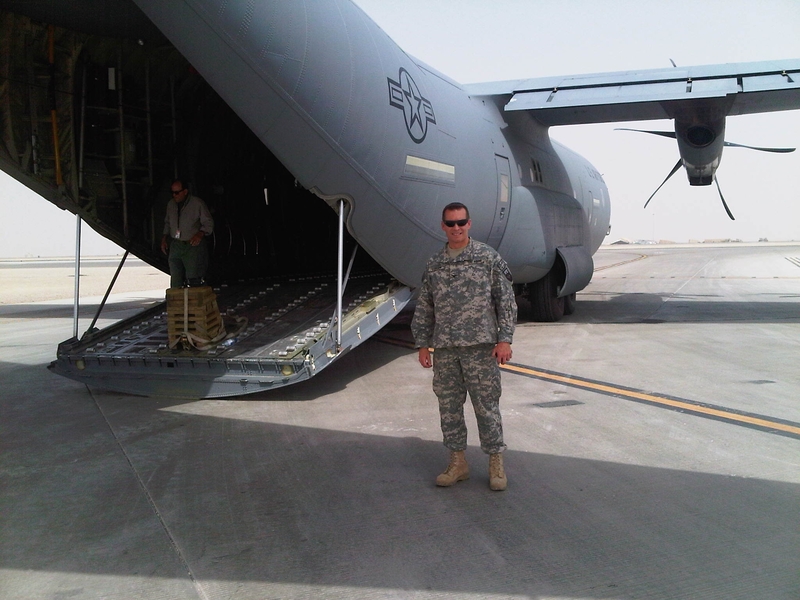 As promised, I am sending you an update of my deployment to Afghanistan. I’ve now been in Afghanistan approximately seven months of my year-long tour. Much has transpired since my last update back in August 2011. As you might expect, I have seen and experienced a lot during this timeframe that has left an indelible imprint on me regarding Afghanistan, war, working in an interagency and international organizational environment, and the physical/mental effects of wartime stress. Hopefully by the end of this deployment my experiences and lessons learned here will serve me well when I return to assume future leadership positions within the military and NRC. Since I last wrote, there have been many high-profile attacks and suicide bombings in Afghanistan. Before the Country Team staff meeting at the Embassy each Sunday morning the Ambassador conducts a roll call and a moment of silence for all the U.S. soldiers killed in action that week – often numbering in the dozens. This is a very sobering way to begin a staff meeting and helps to put things in perspective when we carry out our routine daily affairs. The single largest attack involving U.S. forces was the downing of a Chinook helicopter this summer killing 30 Special Operations Forces members and eight Afghan soldiers during a planned night raid. Afterwards there was an emotionally charged ramp ceremony involving a very solemn memorial service for the fallen soldiers before they were boarded on a plane headed to the U.S. for final burial – extremely heart wrenching. A few weeks after this event the Embassy where I’m located was assaulted for 20 continuous hours by insurgents who had overtaken an abandoned building near our compound and began firing down on us. My building took much small-arms fire and a direct RPG hit less than 40-meters from my office – definitely causing me to hit the deck and low-crawl to safety! Fortunately, our office walls and ceilings are reinforced with sandbags that help to mitigate the effects of shrapnel. No U.S. casualties from this attack – but there were a lot of frayed nerves (unfortunately approximately 20 Afghan civilians were killed in this attack). There were several high-profile government assassinations involving the former Vice-President of Afghanistan, the Governor of Kandahar Province and President Karzai’s half-brother, and numerous other mayors and local officials. In many instances the assassination involved a suicide bomber wearing either an explosive laden vest or device hidden beneath a turban. In one sensational attack, the suicide bomber used a VBIED (Vehicle Borne Improvised Explosive Device) directly outside one of our combat outposts, completely obliterating many of the life-support structures within. The exterior blast walls of the compound withstood much of the explosion and deflected most of the shrapnel. However, the resultant concussion from the blast wave leveled many of the temporary structures within the compound. Miraculously, although there were more than 70 casualties, only a few resulted in death. We visited the site shortly afterwards to survey the damage and visit with the soldiers. You can only marvel at and admire the courage, determination, and sense of duty these soldiers exhibited under these trying circumstances – unbelievable! I continue to conduct missions with the Ambassador throughout the country. These missions are usually to visit our folks in the field, view infrastructure projects, meet with Afghan government officials, and attend ceremonial events. Our primary mode of transportation is fixed- and rotary-winged aircraft because of the long distances involved, hostile terrain, and the threat of IEDs. We also have a large entourage footprint when traveling due to the staff and security requirements of my boss, which often attracts unwanted attention – thus better to fly than drive. As you can imagine, the grind of long hours and endless work weeks, being without family, and living in poor environmental and stressful wartime conditions can take its mental and physical toll on you after awhile. That said I see a light at the end of the tunnel and look forward to being home soon. Your commitment to your country and support of your fellow soldiers is commendable. Glad to see you doing good things in the world. You old friend from DC. I see several impressive news from Afghanistan, and see here his account of his ordeal. Bob Carlson is an example of you strength and courage that God is with you. You sacrifice is not in vain because we get to the hearts the people have be like you. You family sure are proud of you.